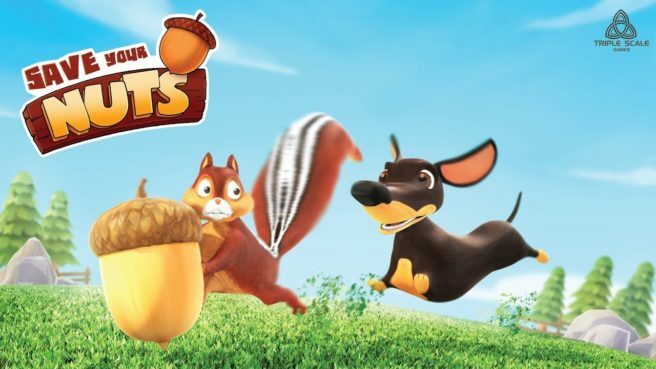 Triple Scale Games has announced that it will be bringing Save Your Nuts to Switch. The multiplayer game, which features physics-based battles, is currently without a release date. Buddy up with your friends in Couch Party mode, which supports 1-8 players and challenging AI-controlled opponents. Invent new strategies on the fly – and enlist your friends to unleash creative combos! Test your nut-saving mettle against others across the globe and compare your skills! Ignite your passion for competition in 3 different modes (Capture the Nut, Battle, and Thieves). Customize squirrels, dogs and other animals with fun cosmetic hats, costumes and skins – and then flaunt your fashion sense on the battlefield. Unlock new characters and weapons – and experiment with wild power-ups and level hazards to gain an edge over your opponents. With simple and intuitive controls, new players can easily jump in and have fun! Easy to play, but hard to master. Want to win? You better know when to attack (or defend! ), jump, shoot, pass – or choose the right power-up. Collect nuts one by one before time’s up! You have only 5 minutes to collect 5 nuts. Once time is up, the team with the most nuts wins the match. If the score is tied, then the game goes into overtime. Steal nuts from the other team’s safehouse and fight for 5 nuts at a time! Those who enjoy hectic battles will love this mode. Break the nuts of the opponent team and be the last one standing.